First soak the dry shiitake and porcinis in boiling water for a few minutes. Put all the dumplings ingredients in a food processor , then take out spoonfuls at a time and roll them into oiled hands to make small dumplings of about 2 cm thickness. Heat the stock made out of the stock cubes and water, add the celery, carrot and grated ginger. Let to simmer for 10 mn. Check the level of seasoning and add chilli or fish sauce if required. The broth needs to have a nice zing to it and not be bland! Keeping it at a slow boil, lower the meatballs in with a large spoon, and let them cook for 3 or 4 mn. In a bowl, put the vermicelli and cover with boiling water. Drain them out and add to the broth just before the end. Serve immediately with a scatter of spring onions and a squeeze of lemon, if you wish. This was a surprisingly quick recipe: the longest task being the gathering of all the different ingredients! I don’t tend to do recipes that demand a long list of shopping BUT for this one I actually enjoyed my trip to Loon Moon supermarket in Soho. I loved looking at stacks of strange packets in exotic colours, all labelled in tantalising and mysterious signs that escaped my understanding! It was like being a child again and having to guess the content of boxes relying on colours and shapes rather than words. I picked some weird and wonderful packets to try out for fun and I let the ingredients dictate the above recipe rather than the other way round! I found it a very liberating way of cooking. This is how you usually have to cook on holiday in a new place, scouring market stalls and discovering new items; the best way to enjoy exotic London flavours! And where would London cooking be without those?! 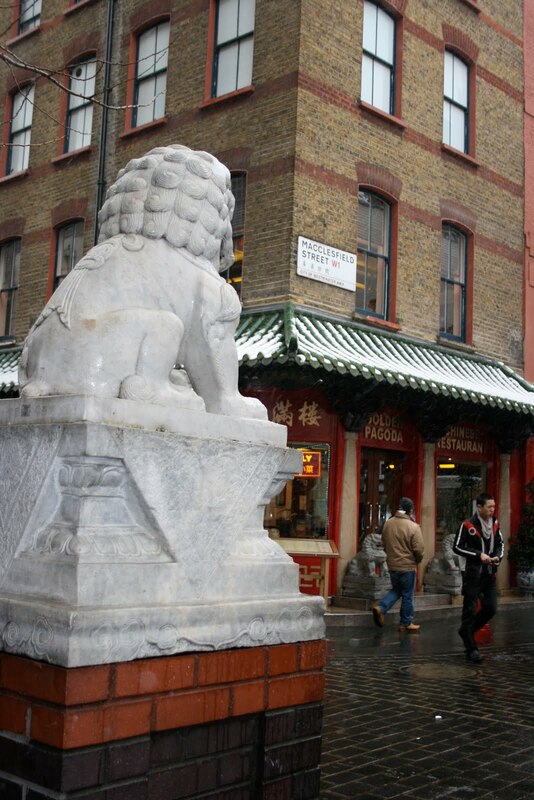 > Some places take you back in time and Chinatown hurries me to the year that I came to London in my Renault 5 with a suitcase full of books and an empty address book! 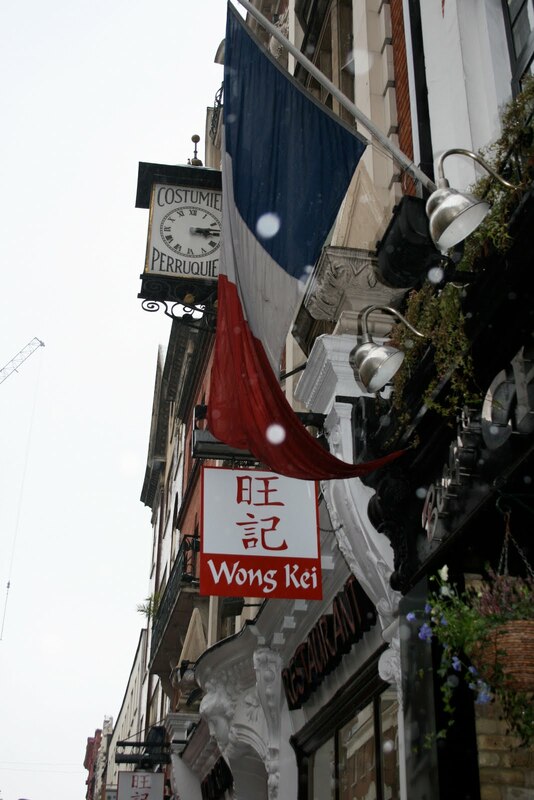 Wong Kei, the ex-barber shop turned fast-chinese-food was the eaterie of choice and London’s cooking was first brought to my taste-buds through a rush of exotic flavours and slightly louche drinking habits… Or rather, the habit of not eating and just drinking! 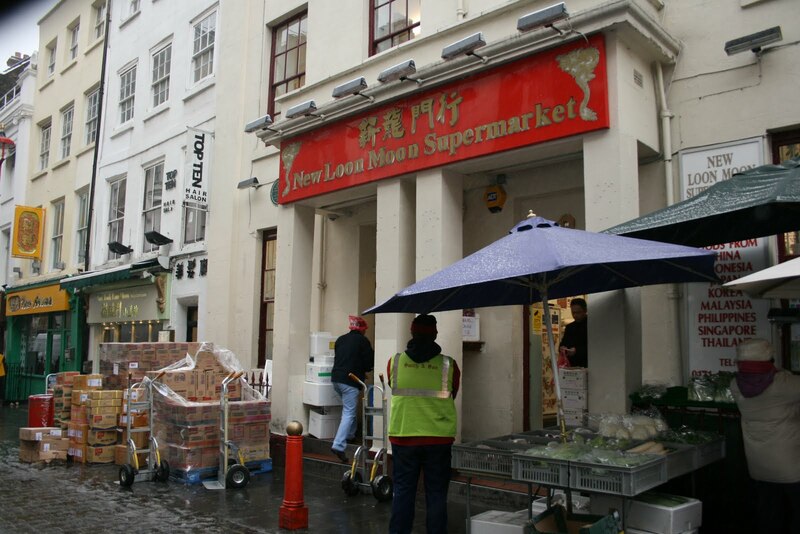 But I always preferred eating with drinks rather than the other way round and now I go to Chinatown to get bags-full of extraordinary and delicious ingredients. 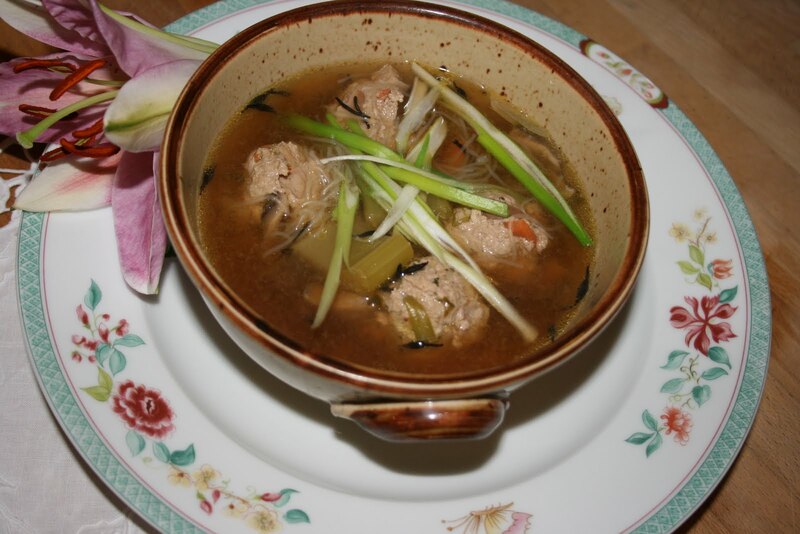 I have been experimenting with exotic soups lately and will soon post my best findings.